Argan oil is a vegetable oil made from argan fruits. It is widely used in the traditional cuisine of the south-west of Morocco. Rich in tocopherols, carotene, essential and unsaturated fatty acids, it is also used for cosmetic purposes. Argan oil remains one of the rarest oils in the world due to the very limited range of argan growth. Argania species once grew in all of North Africa, and now are in danger and under the protection of UNESCO. From ancient times, Moroccan Berbers have called argania “the tree of life”, because it served them as a material for construction and food for humans and animals. Of course, it has also been an indispensable cosmetic product that saves the beauty of Berber women in a difficult arid climate until now. Unique properties of argan oil are in its composition. No product can compare with it on the content of polyunsaturated fatty acids, 80% of which are omega-3, omega-6 and omega-9. Fatty acids are contained in this product in a smaller amount. These substances are not synthesized in human body, but they are extremely necessary for normal lipid metabolism. With its sufficient quantity, the risk of development of atherosclerosis of vessels and cardiovascular diseases considerably decreases. The substances that this unique product is made of have a beneficial effect on the entire human body. Argan oil helps to strengthen immunity, and thanks to a large number of antioxidants is considered a source of youth and beauty. However, we were talking about an edible argan oil. And what about a cosmetic one? Argan oil is extremely beneficial for hair. You can apply argan oil on any type of hair. It supplies it with all the necessary nutrients, strengthens the hair follicles. Argan oil also has a moisturizing and restoring effect, thereby stimulating the growth process. As a result of the regular application of argan oil, your hair is filled with vital energy. 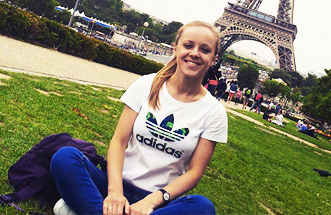 The fragility disappears; the hair becomes smooth, silky and shiny, glimmering with health and beauty. In addition, it fights dandruff well. It is thanks to its composition that argan oil is suitable for the care of sensitive, dry, mature and fading skin. A light structure makes it possible to apply it in the care of a tender eyelid area. Regular use of this product helps to solve the problem of increased dryness of the skin, smoothes out wrinkles and protects the skin from ultraviolet light. 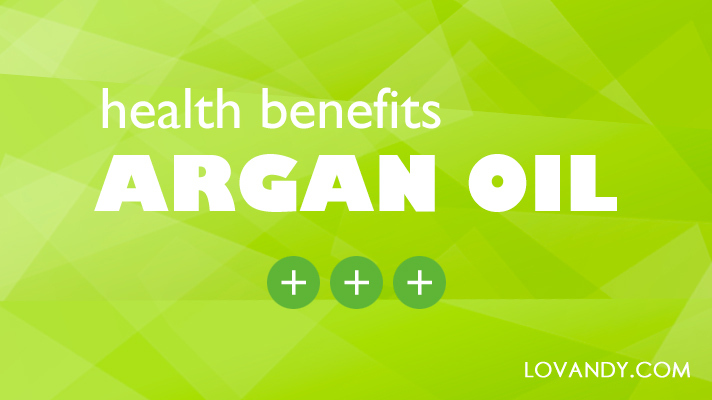 Argan oil has a huge list of beneficial features. It significantly reduces the risk of cardiovascular diseases developing, and also increases the effectiveness of complex treatment of such diseases. Promotes increased immunity, cleanses body of harmful substances. Promotes the improvement of the work of eyes. Softens, nourishes, refreshes and moisturizes skin, protecting it from drying and peeling. Restores the lipid balance of the skin, disrupted because of a frequent use of soap, shampoos and shower gels. Accelerates the process of natural skin regeneration. Increases the elasticity of skin, smoothes out wrinkles. Protects the skin from ultraviolet radiation, prevents premature aging. Considering all the useful properties of argan oil, it has the most powerful effect on face skin. In addition to excellent healing properties, this oil is surprisingly low-fat: it is perfectly absorbed, leaving no oil stains on skin, clothing and bedding (if you use it at night). Its consumption is also minimal – if you apply Moroccan elixir on your face in pure form, 2-3 drops are enough. With very dry skin, you can mix argan oil with aloe gel in equal proportion. Thanks to its regenerating properties, argan oil is very effective in treating burns, wounds and dermatological diseases (eczema, psoriasis). Regular use of argan oil, rich in vitamin E and antioxidants helps to keep skin healthy. Moreover, it helps to reduce the production of sebum – a fatty substance, which is the cause of the development of acne. Argan oil is also an excellent skin care product for lips. They do not have sebaceous glands, therefore should be provided with special care and additional moisturizing. The oil can be applied on lips 3-4 times a day to improve the natural elasticity and make a glossy appearance. As we have mentioned before, the unique composition of vitamins and fatty acids makes argan oil one of the best anti-wrinkle remedies. You may simply put a few drops of the oil on your skin and gently rub it. However, to enhance the healing effect, perform some massage. See Argan Oil reviews in the comment section below ↓ . Argan oil in combination with other oils successfully fights against cellulite. There are many anti-cellulite creams and oils, which include argan, grape seed, rosemary, almond, avocado or apricot. You may also combine these at home. It is applied to the area of cellulite and vigorously rubbed. From such a massage effect, cellulite decreases, blood circulation improves, toxins are released. Argan oil is a completely beneficial product both as food and as a cosmetic remedy. It helps to fight the most serious skin and hair problems, and you need only a few drops a day to see the effect. This remedy is by far useful for all skin types and all ages. Just try it out – you will not believe it! This oil is simply perfect! My acne has long been a disaster for me. When my friend advised me argan, I had no hope. Well, guess how wrong was I! Just a few drops of the elixir, and my face has become as clean as I remember it being when I was, maybe, 12. Totally recommended! Argan oil is the only really good thing in fight of wrinkles. I tell you, it does work, unlike dozens of other creams and oils I have tried. Argan oil is a godsend for my skin. It saved me from the constant search for creams. A couple of times a week, I apply the oil for the night, mixing it with aloe one. In the morning, face skin is tender and moist, although I have a full set of problems with it: redness, dryness, sensitivity, periodic rashes. I put it on my hair, and it becomes shiny and silky just half an hour later.. Magnificent! Wonderful oil!!! Argan oil really removes fluffiness and perfectly smoothes hair… makes it silky as in childhood. For me it was especially pleasant and unexpected that it had a cumulative effect: even when I had no oil at hand, my hair remained silky for 5 days in a row! !